When you want that magical feeling that only cannabis can provide, Magic Pipe is there to grant your wish. Unique, stylish, and reliable cannabis oil cartridges and disposable pens deliver a smooth and elevated vaping experience. 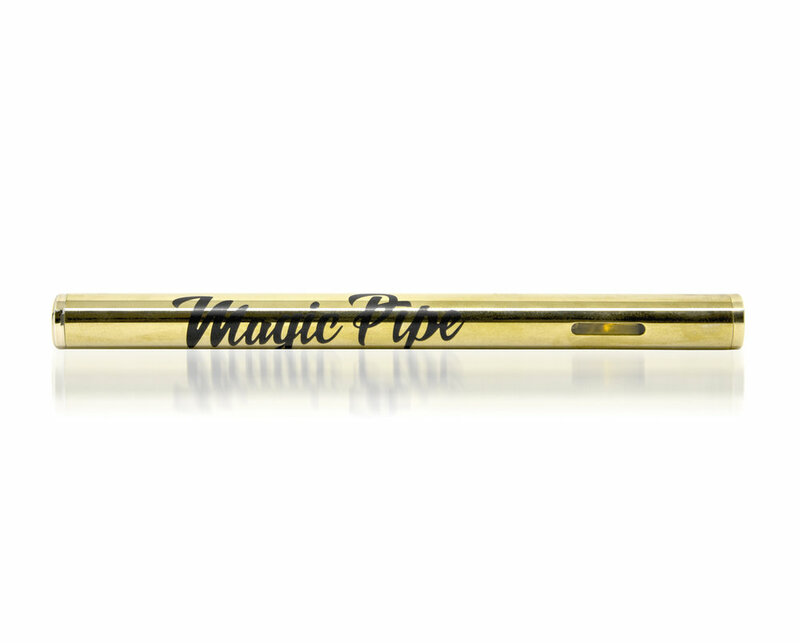 Our polished gold disposable pens are the nonsense choice for quick and easy, everyday vaping. No push-button start, simply pop it open and enjoy smooth and consistent hits every time. Choose from a range of flavors from Watermelon, Pineapple, Sour Apple and more. The push-button Variable Voltage Batteries are compatible with our 510 threaded vape cartridges. The dial at the base of the battery allows you to adjust the voltage to your liking. Each battery has a polished gold finish and includes a USB-charger. Every Magic Pipe oil syringes are pre-filled with 1 ml of premium cannabis oil for simple and precise dispensing - perfect for dabbing or refilling cartridges. Oil Syringes are available in all of the cannabis strains and flavors carried in our cartridges and disposable vape pens. Enjoy an elevated smoking experience, full of flavor and magically smooth! Inquire about Wholesale/Bulk pricing for our high-grade clear distillate and winterized crude. Our cannabis oil has gone through full testing for Potency, Microbial, Pesticides, and Residual Solvents to make certain you're vaping only the best. Below you can find a list our bulk oil variations, available in all strains.